Back pain can put a damper on anyone’s plans. It doesn’t matter if your pain is from an injury or from natural wear and tear. Exercise strengthens muscles, which increases back support and improves posture and flexibility, all of which can improve back function and relieve pain. Exercise the wrong way, though, and you could do yourself more harm than good. Stretching exercises can help reduce most forms of back pain. The Mayo Clinic recommends doing each of these stretches each day: knee-to-chest stretch, lower back rotational stretch, lower back flexibility exercise, bridge exercise, cat stretch, seated lower back rotational stretch and shoulder squeeze. Other exercises good for back pain include biking, low-impact aerobics, tai chi, swimming, resistance training, walking, and yoga. Continue reading for tips on how to exercise best for your back. 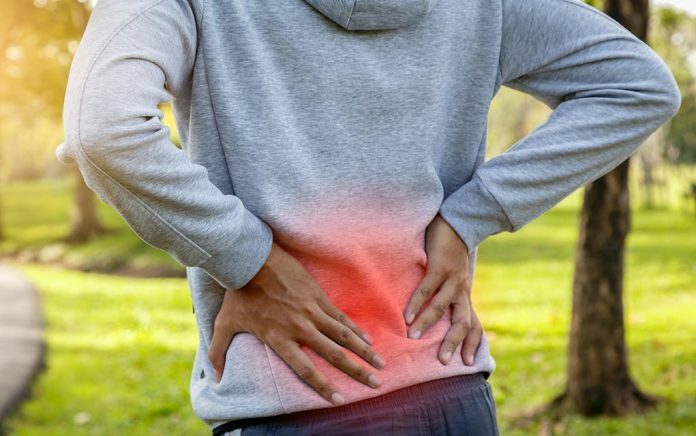 We can offer some of the most recommended exercise for back pain, but please keep in mind that not all causes benefit from the same regimen. Please consult your doctor before beginning any new exercises, especially for pain management. Knee-to-chest stretch: Lie on your back with your feet flat on the floor. Bring one knee to your chest and hold for five seconds, switch legs, and then stretch both at once. Repeat two or three times. Lower back rotational stretch: Starting in the same position, hold your shoulders to the floor while you twist your bent knees to one side. Hold for ten seconds and switch sides. Repeat two or three times. Lower back flexibility exercise: While lying comfortably on your back with knees bent, tighten your stomach muscles so your belly button is reaching for the floor. Hold for five seconds, relax and repeat. Begin with five repetitions, and then work your way up to 30. Bridge exercise: Lying in the same position, tighten your buttocks and abdominal muscles so that your hips raise up, keeping your back in a straight line. Take three deep breaths, and then relax and repeat. Begin with five repetitions, and then work your way up to 30. Cat stretch: Move to your hands and knees. Gently arch your back upward, allowing the head to lower in the movement. Relax your muscles so that your back arches inward and your head straightens. Do three to five repetitions twice each day. Seated lower back rotational stretch: Sitting in an armless chair, cross one leg over the other. Keeping your back upright and otherwise straight, twist your waist, using your opposite arm for leverage. Repeat on the other side. Do three to five repetitions each day. Shoulder blade squeeze: While sitting straight and upright in an armless chair, pull your shoulder blades toward one another using your back muscles. Hold for five seconds, relax, and repeat three to five times. There are a lot of exercises that can improve back pain, including biking, low-impact aerobics, tai chi, swimming, resistance training, walking and yoga. In most cases, any exercise is better than none. What’s important is that you’re moving, stretching, and strengthening those muscles. Don’t overdo it, however, or you could make your problem worse. Stop your exercise regimen and talk to your doctor if you experience additional pain.